Welcome to Today@WKU, the daily newsletter from WKU Public Affairs, for December 11, 2018. Ogden Foundation Scholar drawn to career as book illustrator: Like most youngsters, Emilie Gill learned to read thanks to picture books. And, like most youngsters, she moved on to chapter books, young adult novels and more. But the WKU senior never closed the book on her interest in picture books and plans to pursue a career as a book illustrator and visual storyteller. Gill, the daughter of Tyler and Sylvia Gill of Allensville, will be recognized Saturday (Dec. 15) as the Ogden Foundation Scholar during the Potter College of Arts & Letters ceremony. 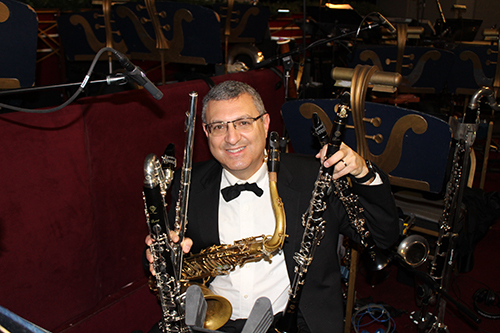 WKU music professor performing at Radio City Music Hall: WKU Music Professor John Cipolla is performing in New York City for the 2018 Radio City Music Hall Christmas Spectacular. WKU Forensics Team hosts Senior Hilltopper Classic: WKU Forensics hosted 385 students, teachers and parents from 28 high schools in six states -- Kentucky, Tennessee, Illinois, Louisiana, Pennsylvania and New York -- for the annual WKU Senior Hilltopper Classic speech and debate tournament on Saturday (Dec. 8). WKU Week in Photos: Check out the latest WKU Week in Photos on WKU’s Facebook page. Board of Regents to hold quarterly meeting Dec. 14: The WKU Board of Regents will hold its fourth quarterly meeting at noon Friday (Dec. 14) in the Martin Regents Room of Jody Richards Hall. WKU to recognize fall graduates Dec. 15: WKU’s five academic colleges will recognize more than 1,400 fall graduates in ceremonies on Saturday (Dec. 15). Men’s basketball: Bassey Claims Third C-USA Freshman of the Week Award: Another double-double and a strong performance on a big stage helped WKU center Charles Bassey win his third Conference USA Men's Basketball Freshman of the Week award Monday. The 6-foot-11, 245-pound native of Lagos, Nigeria, averaged 19 points, 9.5 rebounds and 3.5 blocks per game over two road games, including crucial plays at the end of an upset win at Arkansas. Next: WKU vs. Troy at 2 p.m. Sunday at Diddle Arena. WKU working to address teacher shortage: Of 65 new teachers graduating from WKU this weekend, only six are math teachers. That mirrors a nationwide shortage as teacher education colleges struggle to draw students into high-need fields such as math, reading and science. WKU engineering students contribute to radio telescope project: When engineering students set out to design a new radio telescope at WKU this year, they initially thought everything would come together seamlessly. Kentucky Museum will offer free regular admission for three years: One of Bowling Green’s longest standing attractions is receiving an early Christmas gift. However, it’s a gift that keeps on giving because it will allow community members and families to visit free of charge. ‘No. 74 is an eligible receiver’: At long last, Seahawks offensive tackle George Fant catches a pass! : Seahawks offensive tackle George Fant has been announced as an eligible receiver numerous times throughout the season. (Last week, he was even split out wide twice on Richard Sherman.) But his big moment finally came on Monday Night Football against the Minnesota Vikings, when Fant — a former tight end at WKU — got to put his receiving skills to use. WKU Spirit Magazine: Check out the fall 2018 issue of WKU Spirit magazine. 5 p.m.: International Graduation Reception. Mahurin Honors College/International Center multipurpose room. Contact International Enrollment Management, (270) 745-4857.